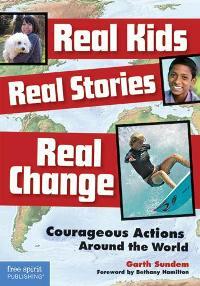 Inspire kids and teens to personal, community, and social action with this book of thirty true stories of young people overcoming adversity to achieve great things and make a difference around the world. Compelling, funny, inspiring, and poignant, the book features kids and teens who used their heads, their hearts, their character, their courage, and sometimes their stubbornness to help others and do amazing things. Inside you’ll find examples of youth volunteering, kids making a difference, and young people initiating community and social action to change their world. As young readers meet these boys and girls from around the globe, they may wonder, “What kind of hero lives inside of me?” Teachers, use this engaging resource for service learning, character education, and social studies.